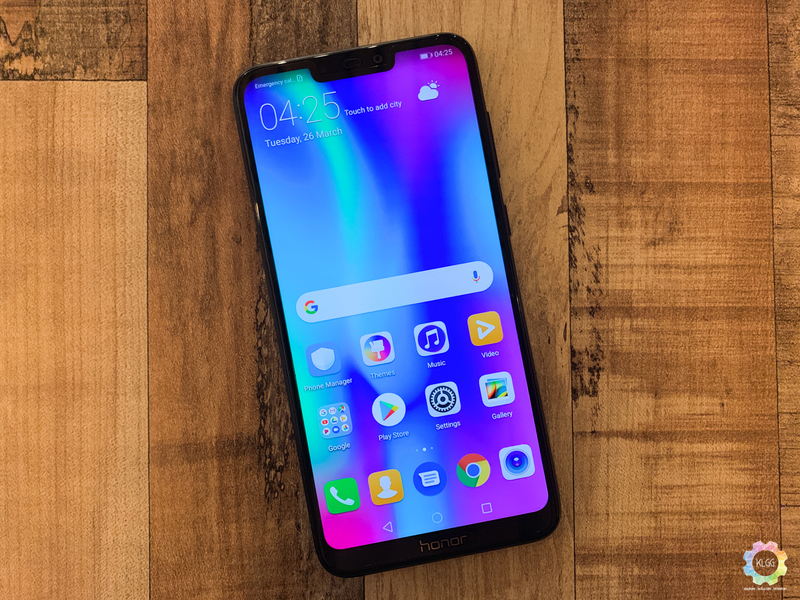 HONOR has finally introduced the HONOR 8C, an entry-level device that comes with a huge battery and a mysterious ambassador that has now been revealed as a furry creature: a British Shorthair cat. 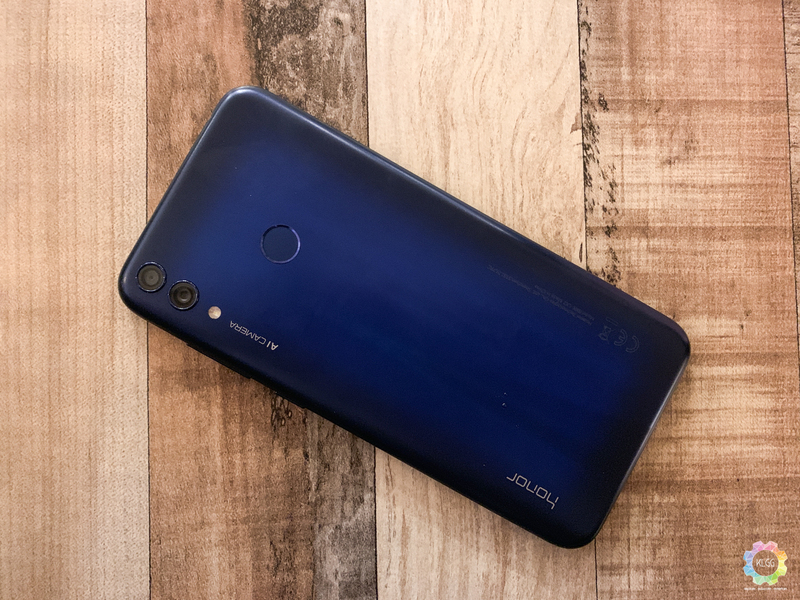 The HONOR 8C has a 6.26-inch LCD display with a 86.6% screen-to-body-ratio, and sports a notch that is similar to the HONOR 8X. With a large screen, the HONOR 8C offers a better viewing experience while providing eye protection with its eye comfort mode. Those who prefers a no notch experience can also remove the notch by doing so via Settings>Display>Notch. The HONOR 8C comes with en ergonomic design, sporting a curved body and also a “cat’s eye” effect that is only found in the blue-coloured HONOR 8C, though there are also other colour options like black and gold. It supports 360 face unlock, a feature that is similar to the Face ID found on Apple’s iPad Pro, and it has a Simple Mode that is cater for the elderly with bigger fonts and also lower battery consumption. Under the hood, the 8C is packed with a Snapdragon 632 processor, and it has 3GB RAM with either 32GB storage, which is expandable up to 256GB with a microSD card. Like the 8X, the device have three card slots to support dual SIM cards and a microSD card, and ships with EMUI 8.2 based on Android 8.1. 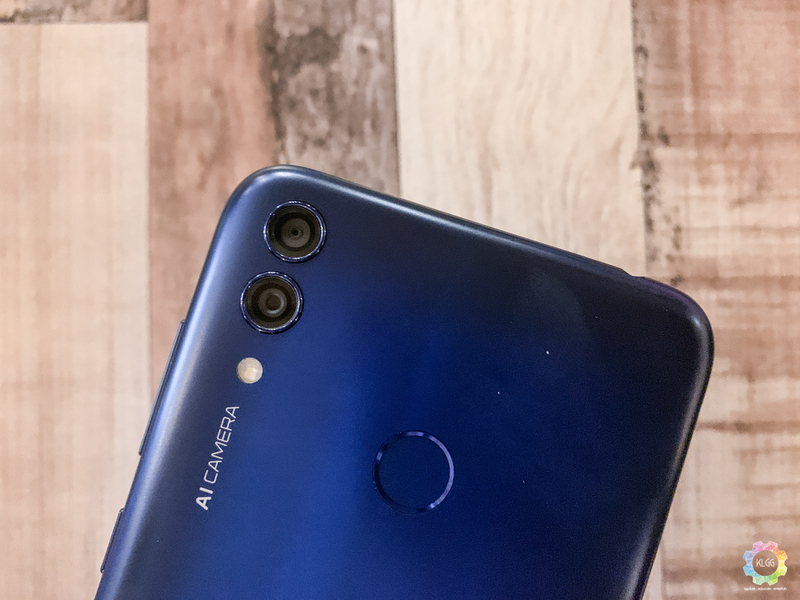 Moving on to its cameras, the HONOR 8C comes with a 8MP selfie snapper while its rear comprises a 13MP main camera with f/1.8 aperture and a 2MP depth sensor with f/2.4 aperture. It also comes with three levels of brightness for its Soft Flash on the front. Thankfully, the 8C’s camera has AI support which can recognise more than 500 scenes and also offer photo enhancements. 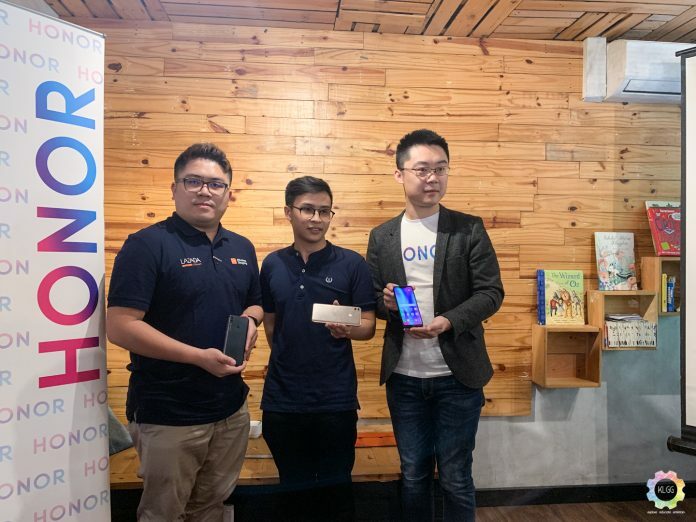 One remarkable feature of the 8C is that it is one of HONOR smartphones with the largest battery as it houses a 4,000mAh battery and charges via microUSB. With a huge battery, the phone is said to be able to watch TV series and play games like Arena of Valor for an extensive amount of time. Like I’ve mentioned, the HONOR 8C comes in three colours: blue, black and gold. 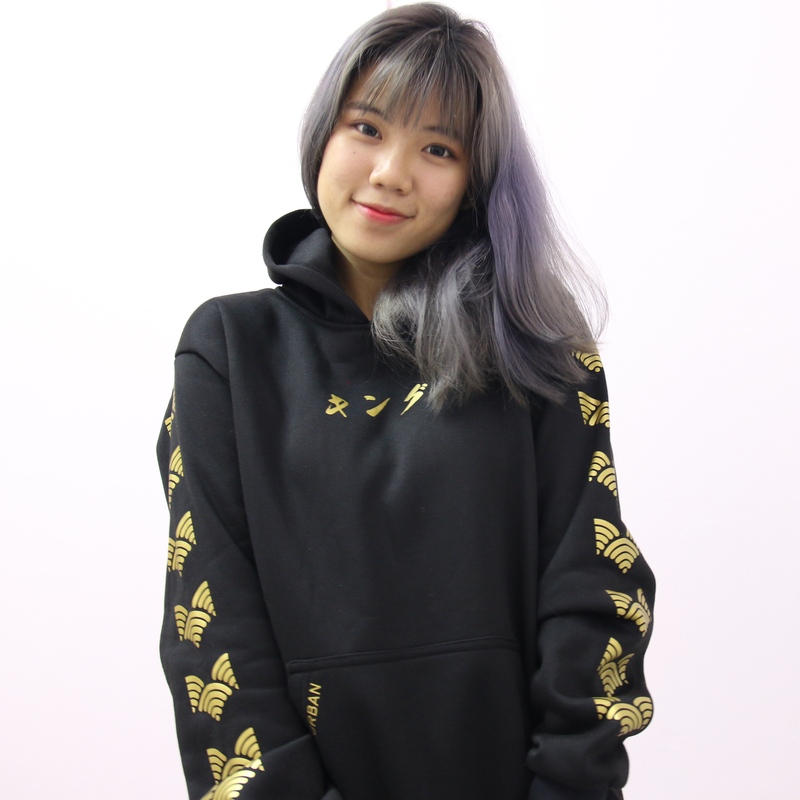 It’s available nation-wide starting from April 5, though you can get it earlier on March 27 at 10am on Lazada in conjunction of its Birthday Sales. 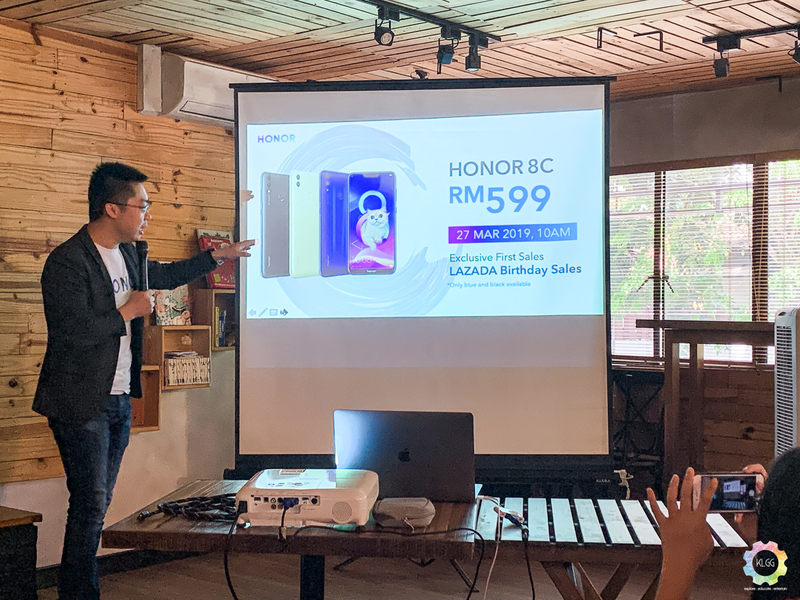 The HONOR 8C will cost you RM599, and the first 1000 customers who purchase the phone will be entitled to a limited edition tote bag featuring the 8C’s Catbassador.